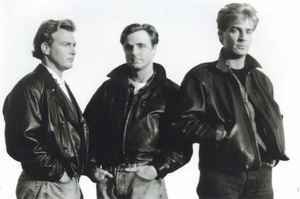 British synth-pop group, formed in 1985 in Sheffield as the successor of Typhoon Saturday, disbanded in 1990. Their single “Living in a Box” peaked at number 5 on the UK Singles Chart. It was the band’s only single to chart in the Top 40 of the Billboard Hot 100 in the U.S. and was later covered by Bobby Womack who had also worked on the group’s debut album. In 1989 two further UK Top Ten singles were released, “Blow the House Down” (featuring Brian May on guitar) and “Room in Your Heart”.